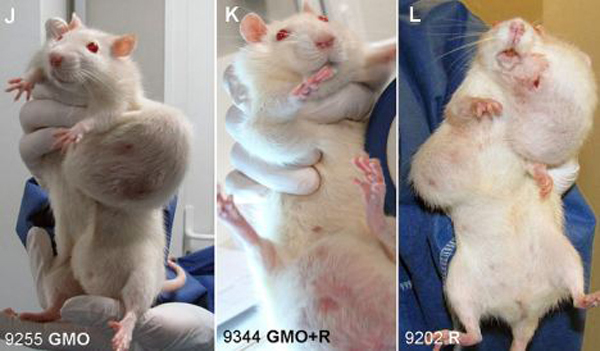 (NaturalNews) Eating genetically modified corn (GM corn) and consuming trace levels of Monsanto’s Roundup chemical fertilizer caused rats to develop horrifying tumors, widespread organ damage, and premature death. That’s the conclusion of a shocking new study that looked at the long-term effects of consuming Monsanto’s genetically modified corn. This entry was posted in Article, Links, reblog and tagged 19 september, 2012, 70% Of Females Die Early, Disclosure, Earth, MIke Adams, NaturalNews, news, Shocking Findings in new GMO Study : Rats Fed Lifetime Of GM Corn Grow Horrifying Tumors, spiritual, Spiritual evolution, World. Bookmark the permalink.